Water is always a good choice. Fresh spring water found in nature is the best source. Many raw foodist go to local springs to collect water. I have done this and highly recommend it. Filtered water is probably the next best choice and tap water is a choice as well (but will vary by location). Warm Lemon Water is a good way to start each day. You can add in a small sprinkle of cayenne pepper or grate a little ginger and add it for variation. Warm Herbal Tea is allowed, you just don’t want to put in any creamers or sweeteners. Brew as you normally would and use stevia if you need a little sweetness. Yogi tea makes some detox teas which are nice. I happen to really like their Skin Detox tea. Herbs can add a medicinal effect and enhance a cleanse. The more robust the herbs are, the deeper the cleanse can become. 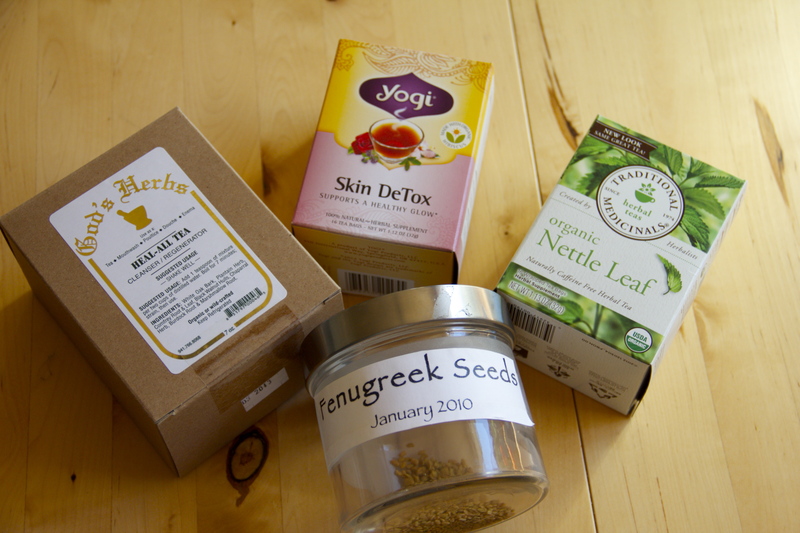 Fenugreek Seed Tea is another all time favorite since I was young. I love how it makes me smell like a hint of maple syrup. It is great for lymphatic drainage as noted when the scent comes out under your armpits. It also is soothing for the gastrointestinal tract, is good for blood sugar and has anti-inflammatory properties. I buy the seeds in bulk and put about a teaspoon into boiling water, then let it set for a while to cool and for the seeds to soften and add tiny amount of stevia. Nettle Leaf Tea is good for calming, reducing inflammation and alkalinizing the body. You can make your own tea from fresh stinging nettles gathered in nature (careful not to get stung) or buy the dried tea from Traditional Medicinals. Herb shops and co-ops also might carry nettles. This is definitely a good one to try if you have not yet done so. Coconut Water or Juice is another great option when out and about these days. You can get it at most co-ops and grocery stores. The best source is to get your own young Thai coconuts and open them up with a few whacks of a sharp heavy knife. 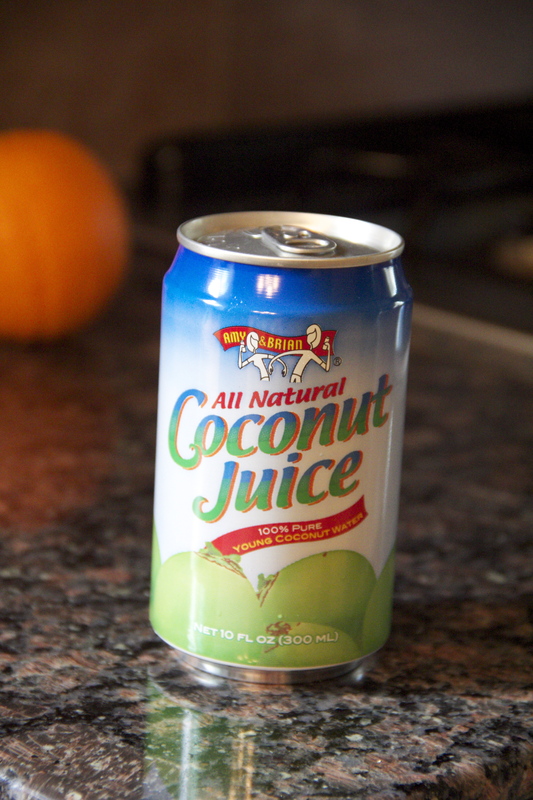 Cans and containers of coconut juice are also an option. I once was on a cleanse and friends went out to eat at a Thai restaurant while I sipped on my coconut juice. It allowed me to stay on the cleanse and feel satisfied. It is very hydrating and has electrolytes, so is mother nature’s athletic drink of choice. Water with Apple Cider Vinegar & Spiralina is another way to get some flavor and also some healing properties into your water. Use 1 quart of fresh water with about 1 tsp apple cider vinegar and 1/3 tsp of spiralina. You can adjust amounts according to your own taste. Spiralina adds vitamin K, magnesium, potassium, and protein. Apple cider vinegar helps balance pH and detoxify. 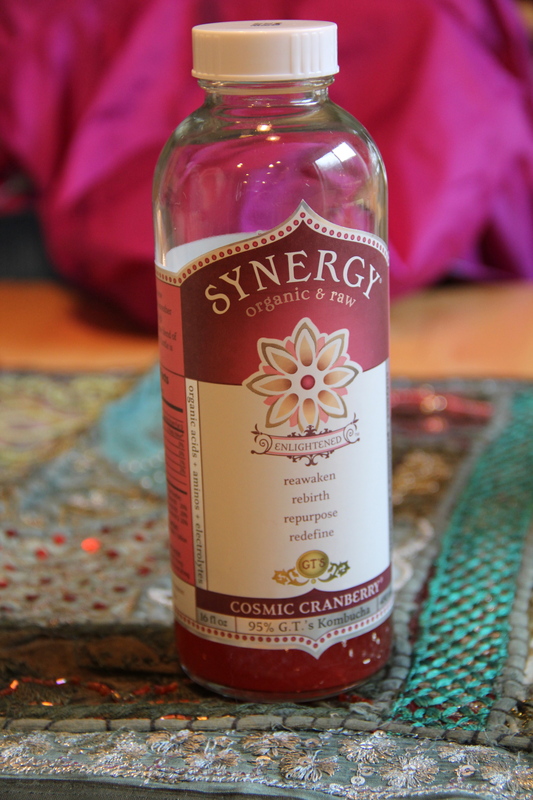 Kombucha is a fermented tea with probiotics. It may contain some caffeine, so I would stick to small amounts of it. Once again it came in handy when out with friends and wanting to have something while they were eating or drinking. Kombucha contains enzymes, probiotics and glucurornic acid which the liver uses in detoxification. You can even buy Kombucha with chia seeds in it for extra protein and satiety. Essential Oils in Water are another option, you just need to be sure they are a high grade that is suitable for consumption versus only for topical use. Young Living Oils lemon, grapefruit or orange are good for flavoring water. 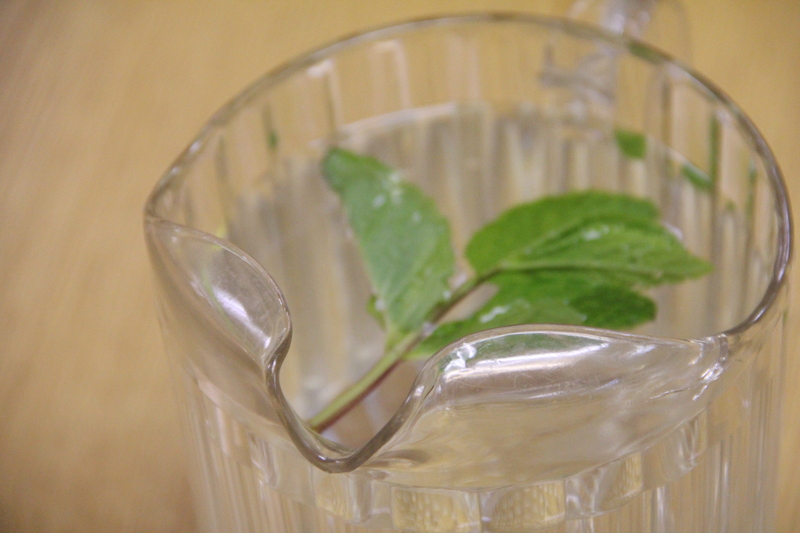 Herbs, Fruits or Veggies in Water is a nice way to dress up your water and add a special touch. Try Mint, Rosemary, cucumber, lemon, oranges, grapefruit, etc. 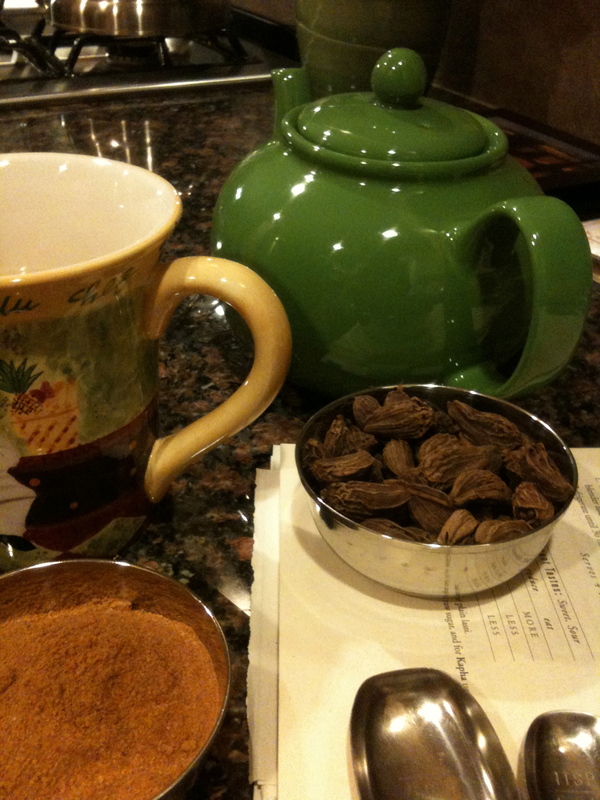 God’s Herbs Heal-All Tea is a medicinal tea with lots of herbs that stimulate a deeper cleanse. They are organic or wild-crafted herbs that cleanse and regenerate the body. It is strong and more medicinal, so more for those who have done past cleanses who want to go deeper.